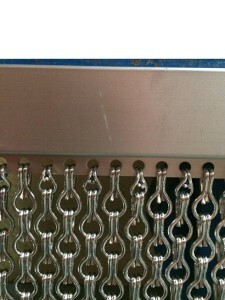 Corner Star sell Chain Curtains which are manufactured into chain curtain screens and metal curtain room dividers, these are often used for decorative, design or accoustic purposes. 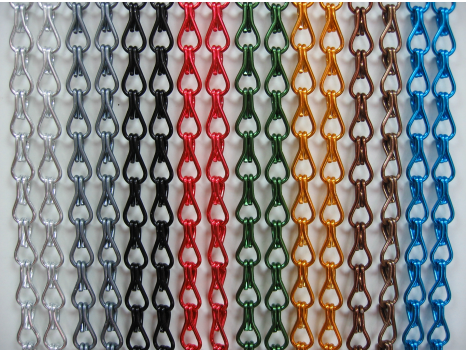 The most popular chain curtain line is the anodised Aluminium Fly Screen Chain Curtains, which comes in a range of 7 colours. 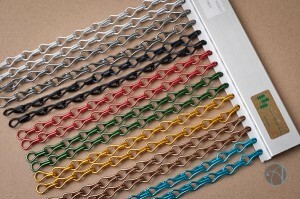 600 metres makes up approximately 4 x standard sized Fly Screen Door Chain Curtains. 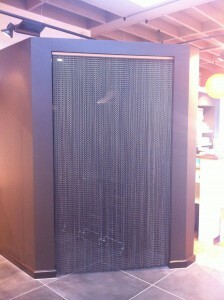 The Mounting frame or headrail has 78 holes per metre and comes in 10 x 4 metre lengths. 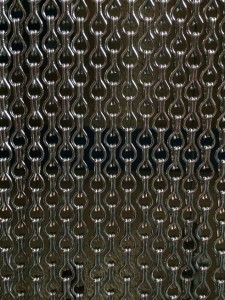 A 100 hole headrail is now available and when used in conjunction with our smaller chain links can be used to create a tighter chain curtain weave. 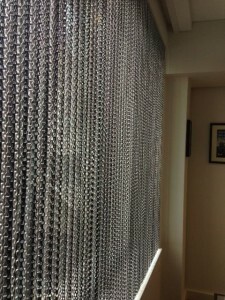 Here are some recent installations of aluminium chain curtains as screens or doors and on both commercial and domestic premises. 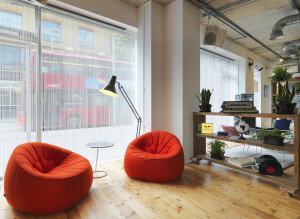 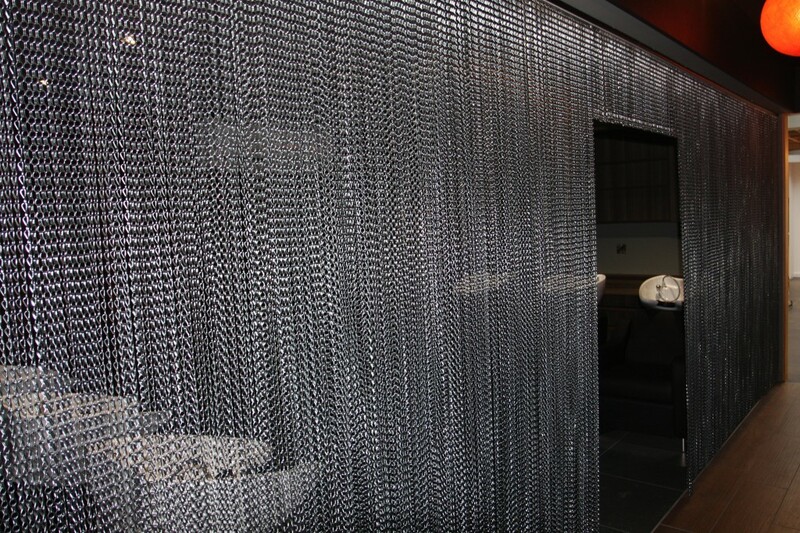 Chain Curtains are ideal for those locations where this is a constant flow of people and goods moving in and out of an office, kitchen or food preparation area. 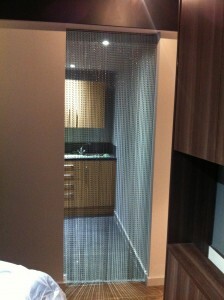 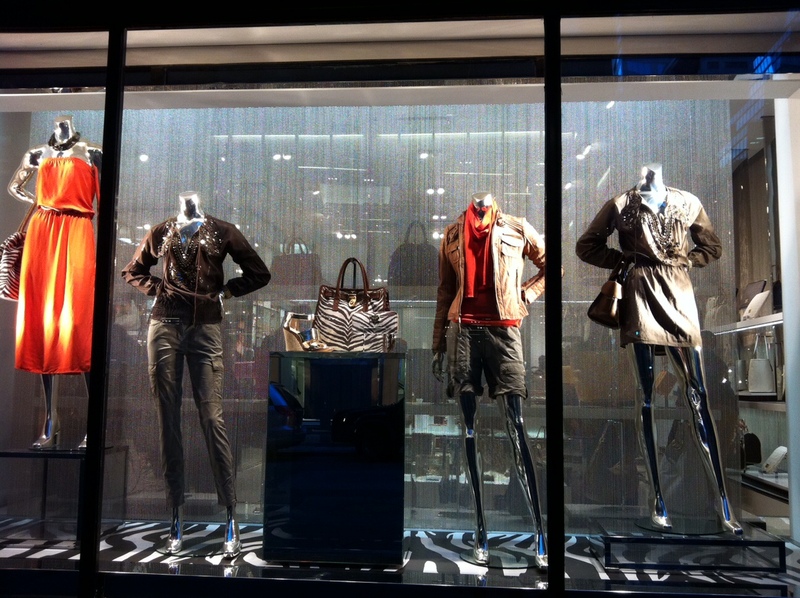 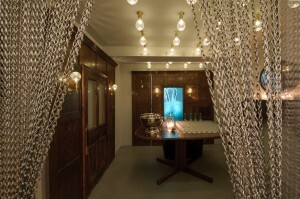 Contact Us today for bulk purchases or individual made to measure chain curtains.